On a listing, a property that offers an updated gourmet kitchen with granite countertops and a jetted tub in the bathroom may seem like a total catch. But if an interested buyer drives by the home to find overgrown landscaping or a brown yard rather than lush, green grass, those interior upgrades and effective staging tricks are not going to matter. Curb appeal is one of the most important factors in a seller's ability to list their home for the highest price possible and sell it in the shortest amount of time. According to Realtor.com, curb appeal can boost a seller's property value by up to 20 percent. On the surface, it may seem like curb appeal requires a well-manicured lawn and a nice looking exterior, but there's actually a lot of details to consider when improving the curb appeal of a property that is going to be listed on the market. The Mowing Lines. Most sellers know that they need to mow their lawn regularly when their property is on the market. 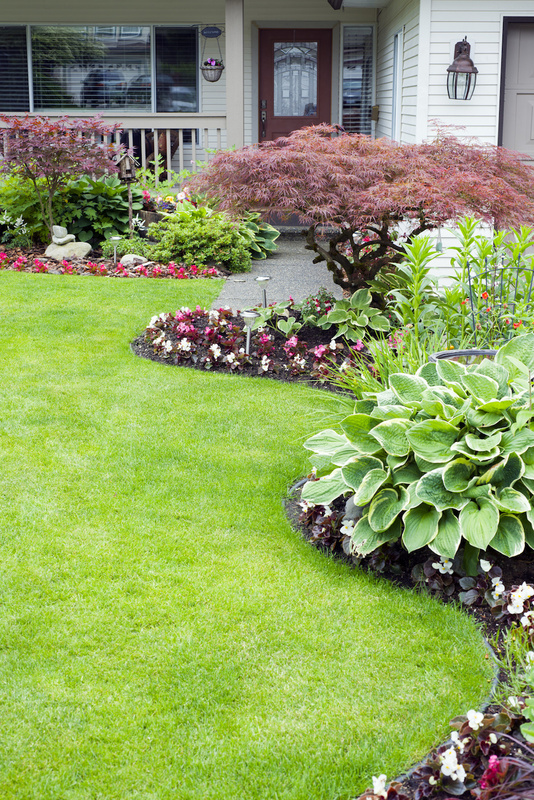 However, many do not realize that their mowing technique can have a big impact on a buyer's impression of their home. Sellers should make an effort to mow straight lines, as this gives the home a clean, crisp and tidy appearance. In a desirable community like Larkspur, buyers may even expect this level of lawn care. Seasonal Decor. Real estate agents often recommend specific seasons for listing a home for sale, largely based on the local market conditions in their region. Regardless of the season in which a seller lists their property, they should consider boosting their curb appeal with appropriate seasonal decor. Fresh flowers in the spring and summer, pumpkins and harvest gourds in the fall and evergreen wreaths in the winter all help to enhance the curb appeal of an available property. Clean Sidewalks. Sellers often recognize that they need to keep the inside of their home tidy when there are buyers coming through for showings, but it's easy to forget about the sidewalks. Sellers should work to keep their sidewalks weeded and clear of all debris, including leaves, sticks and even toys. Cluttered sidewalks not only increase the risk of accident or injury, but it also decreases the curb appeal of a home. A Nice Mailbox. When it comes to listing their property, most sellers aren't even thinking about their mailbox. It's a common household item but generally, it's an afterthought. However, an old mailbox that is deteriorating can leave a buyer feeling like the home has not been well-maintained by the property owners. Investing in a new mailbox or sprucing up the existing mailbox can pay off during the sale of the home. A Statement Front Door. The front door should stand out as the focal point of the property's exterior. Installing a new wooden door that complements the outside features of the home, or throwing a fresh coat of paint on the door in a complementary color can instantly transform a house into an appealing home. Curb appeal not only helps increase the property value of a home that is for sale, but it also improves a real estate agent's ability to market the house. A house with fresh landscaping and a beautiful exterior is going to photograph beautifully for the web, which is where many buyers are looking for available properties. To find out more about increasing the curb appeal of your property, contact an experienced local real estate agent today.